Statement 5 2/3 x 7 GEN0115 At Print EZ. Statement 5 2/3 x 7 Item No. Size: 5 2/3" x 7"
Statement 5 2/3 x 7 Item No. Compact yet comprehensive makes detailed account information clear and easy to understand. Customize your company name and address and add a free standard logo. 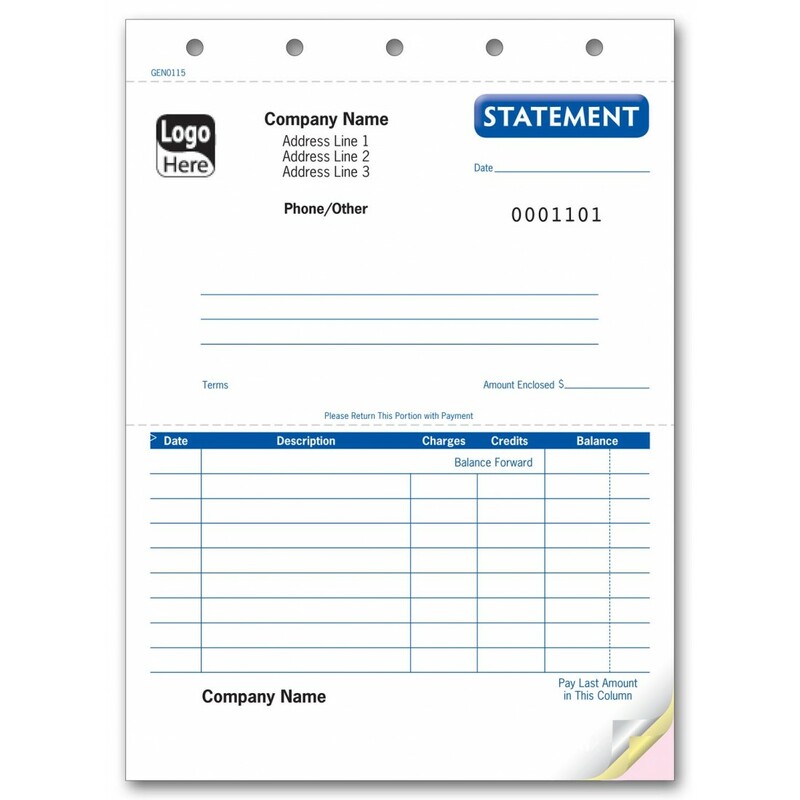 Order matching envelopes for a complete, professional-looking billing package.